Tran, K.M. (2018). Families, Learning, and Pokémon Go. E-Learning and Digital Media, In Press. Tran, K. M. (2016). Her Story Was Complex: A Twine Workshop for Ten to Twelve Year-Old Girls. E-learning and Digital Media, 13(5-6), 212-226. DeVane, B. M., Steward, C., & Tran, K. M. (2016). Balancing Expression and Structure in Game Design: Developing computational participation using studio-based design pedagogy. Educational Technology, 56(3), 42-47. Holmes, J., Tran, K., & Gee, E. (forthcoming, 2017). Distributed teaching and learning systems in the wild. In Young, M.F. & Slota, S. T. (Eds.). Exploding the Castle: Rethinking How Video Games & Game Mechanics Can Shape the Future of Education. Charlotte, NC: Information Age Publishing. Gee, E. & Tran, K. (2015). Video game making and modding for learning: A critical review. In Guzzetti, B. & Lesley, M. (Eds.). Handbook of Research on the Societal Impact of Digital Media. Hershey, PA: IGI Global. Gee, E. R., Tran, K.M., Stewart-Gardiner, C., & Carmichael, G. (April 2018). Creating Games to Teach Computer Science Concepts: A Design Case. Poster accepted to the annual meeting of the American Educational Research Association, New York, NY. Holmes, J.B., Aguilera, E., & Tran, K. M. (April 2018). Bridging the Divide Between Formal and Informal Contexts Through Distributed Teaching and Learning Systems. Paper accepted to the annual meeting of the American Educational Research Association, New York, NY. Tran, K. M. (October 2017). Families, Learning, and Pokemon Go. Presentation accepted to Digital Media and Learning Conference, Irvine, CA. Aguilera, E., Holmes, J. B., & Tran, K. M. (October 2017). Distributed Teaching and Learning Systems Across Virtual and Blended-Learning Environments. Presentation accepted to Digital Media and Learning Conference, Irvine, CA. Gee, E., Siyahhan, S., Tran, K. M., Devane, B., Dietmeier, J, Miller, B.J., Missall, K., Nanda, S., Banerjee, R., and Yip, J. (August 2017). Intergenerational Game Play and Family Learning: Current Insights and Future Directions. Presentation accepted to Foundations of Digital Games Conference, Cape Cod, MA. Tran, K. M. (June 2016). Distributed Teaching and Learning in Pokémon Go. Poster presented to the 12th International Conference on Computer Supported Collaborative Learning, Philadelphia, PA.
Tran, K.M., Chen, M., Aguilera, E. (October 2016). Twine Workshop and Game Jam. Workshop presented at Meaningful Play, East Lansing, MI. Malone, K., Boltz, L. O., Tran, K.M., & Chen, M. (October 2016). Finding Meaning in Emergent Play and What that Means for Design. Panel presented at Meaningful Play, East Lansing, MI. Tran, K. M. (October 2016). Twine Workshop: Youth Making Games and Digital Stories. Paper presented at Digital Media and Learning Conference, Irvine, CA. Tran, K. M., Aguilera, E. & Chen, M. (August 2016). Twine Game Jam. Workshop presented at Games, Learning, and Society 11, Madison, WI. Tran, K. M & Wallin, M. (August 2016). Literacy and Learning through Game Design: An Afterschool Twine Workshop. Poster presented at Games, Learning, and Society 11, Madison, WI. Holmes, J. B., Tran, K. M., & Gee, E. (August 2016). 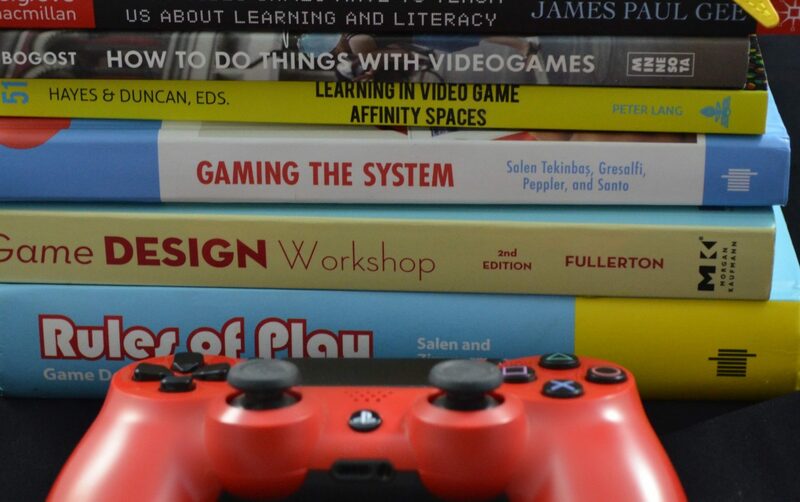 Videogames and Distributed Teaching and Learning Systems. Poster presented at Games, Learning, and Society 11, Madison, WI. Aguilera, E., & Tran, K. M. (June 2016). Re-Imagining Interactivity in Children’s Picturebook Apps. Presentation accepted to Interaction Design and Children, Manchester, England. Gee, E.R., Tran, K., & Parekh, P. (February 2016). The Role of Story in Computer Science Games for Girls. Poster presented at the National Science Foundation AISL Annual PI meeting, Bethesda, MD. Tran, K. M. (February 2016). Twine workshop for girls. Presentation at Mary Lou Fulton Teachers College Prospective Doctoral Student Visit Day, Tempe, AZ. Tran, K. M. (January 2016). Twine Workshop for Adolescent Girls. Poster presentation at the annual Teachers College Doctoral Council Research Conference, Tempe, AZ. My full current CV can be found here.